Before we start, I must be honest, I have heard many things about the Valkyria Chronicles franchise but never managed to play the predecessors. After doing some research, it seemed depressing to read how disappointed fans were about the unclear certainty and future of this saga. In 2017, the fourth episode was announced, and everyone saw the light at the end of the tunnel. When I got my hands on Valkyria Chronicles 4, I decided to step into the game as a newcomer with absolutely no knowledge of the history, but it was a hard path to chose as you quickly realize that this game takes you back into the same conflict the first title presented but from a different angle. The history of Valkyria Chronicles 4 is quite complex, but the overall feel is always the same. Two sides fighting for control. Think of World War II reinvented. Our two sides here are the Imperial Alliance and the Atlantic Federation. The latter is your side in this new instalment. Our story in Valkyria Chronicles 4 starts after the empire has pushed deep into our territory and with one last effort, the federation decides to go on an all-in attack on the heart of the empire, the Capital City of Schwartzgrad. This final conquest is led by our hero Claude Wallace and his unique section E. You will find yourself commanding this unit into beautifully designed and vast battles across a colourful Japanese anime version of Europe. SEGA stayed true to the Japanese RPG style and remastered the exact same gameplay used in the first instalment. Valkyria Chronicles 4 is a strategy RPG firstly and a semi third-person shooter secondly, however, this last one comes with a twist which I will talk about later. The basics are simple, every camp starts their turn with a limited number of units to move into the battle. Your main currency is CP or Command Points. Every mission gives you a set amount of CP which will allow you to move units on the map. Once you are out of CP, your turn ends. The other currency used in Valkyria Chronicles 4 is AP and they are equivalent to stamina. When you control a unit, every move will see you AP deplete. Once you reach 0, you will no longer be able to move that specific unit. The first thing that pops out is the beautifully designed system used in the missions. Unlike other Japanese RPGs, Valkyria gives you a unique 3D terrain with excessive depth and surrounding awareness that I have not seen anywhere else. You must keep track of your units, their weapons, the distance they can cover, the obstacles in front of you all while predicting the opponent’s moves. Positioning is key and choosing the right roles for each mission is crucial. The roles are interesting on their own. Grenadiers launch explosive shells from mortars in an arc to reach enemies behind cover or on high ground. They are even able to intercept enemies behind cover if there is an ally in their line of sight. Scouts are extremely mobile and can spot enemies waiting in to ambush from a great distance. They have the highest AP in Valkyria Chronicles 4 thus allowing them to cover more distance. Shocktroopers are the front-line troops. They have heavy armour and anti-personnel machine guns making them an ideal assault unit for engaging the enemy infantry. At close range, they should be your ultimate pick. Then you have other roles like the Engineers makes up for low combat prowess with the ability to repair vehicles, reconstruct defences, resupply ammunition and revival allies in critical condition. They are extremely valuable on the battlefield. Lancers are your anti-tank unit. They have high defence and high HP at the cost of low AP. Snipers, my favourite class, are the units specialized in shooting down enemies from afar. They lack mobility and defensive capabilities but make up for it with superior range and critical damage. Finally, the tank which has Miles and Claude in it is your defensive vehicle and tank destroyer. All these roles will reach elite status once they reach level 11. Progressing in Valkyria Chronicles 4 is also straightforward. Every mission awards you experience points or XP. As you progress, you will be able to unlock new weapons, armour, level up your units and upgrade your tank. One thing that I found interesting is the special abilities each unit can potentially unlock. As the units level up, certain perceptions can be awakened. This is purely RNG but once activated can turn the tide of a battle. Some of the perks I managed to experience where increased accuracy, defensive rise, increased damage, …etc. in addition, you are also to give orders. Something that only Claude can do as the commander of the section. Orders cost you CP but could be useful during harder missions. You can ask reinforcement, evacuate, call medics, focus on defence or attack, …etc. I played for around 16 hours and I noticed that there is not a single mission that is similar. There are around 18 chapters in total and every one of them is unique. The maps you battle in are beautifully designed with a different conquest plan every single time. Certain missions are very original making you use a specific unit to do a certain task that you would have not originally thought of. For example, in one of the missions, your snipers need to hit a specific church bell to let your artillery know when to bombard the ground. The enemy seems easy at first but as you progress, you will start feeling the ferocity of the empire and their vast creativity in their weapons. At one point and without giving you too much, you will face an opponent that is almost invincible and make you work hard to achieve victory. The game is designed to give you this dramatic feeling that everything is going wrong and that there is no hope up until the end where something happens and against all odds you win giving you this feeling of achieving something great. The narrative is well designed and very interesting. Everything is done from Claude’s diaries. This is divided into chapters. Cutscenes are beautifully animated taking you back to that 1990’s anime hand-drawn style. The music and voice over ads flare to the game although I played the other half of Valkyria Chronicles 4 in Japanese with English subtitles just to enjoy the authenticity of the game. The variety of units is also interesting. With over 60 different units to play with, each has their own personalities and traits. This also ads a lot of interaction between each unit creating a sort of a friendly vibe in your section. Some would pop jokes, others will be flirty all under the context of being a family under one command. One thing that I did not enjoy was the villains. It did not feel imperial enough for me. I did not feel threatened nor did I get their intention. It was a little bit farfetched. I would have liked to see some sort of an evil tonality like Darth Vader in the empire. For me, they were mediocre and not credible taking away from the climactic ending I would have liked to experience. Overall If you are a fan of strategy RPGs, I highly recommend Valkyria Chronicles 4 as they managed to capture everything an RPG should have and add colours and depth to it. The different playstyle it presents is unparalleled making it enjoyable for newcomers to this genre and veterans alike. The entire story was fantastic, and I would love to see an anime version of Valkyria Chronicles 4 come to life, however, I would have liked to see a better ending as I did not feel rewarded enough since the ultimate villain was mediocre with no real motives explaining their actions. 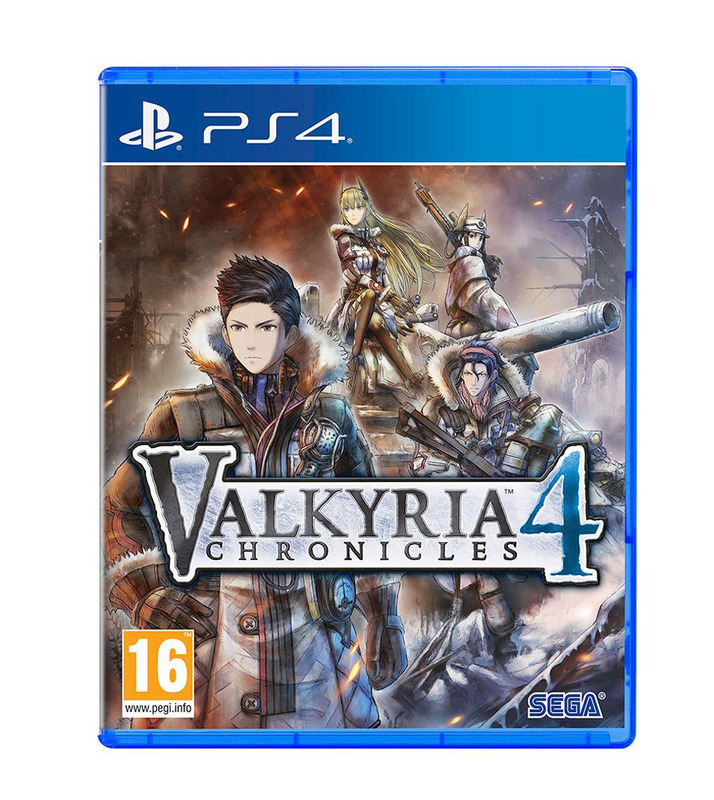 Valkyria Chronicles 4 was reviewed using a PlayStation 4 digital download code of the game provided by Sega. The game is also available on Xbox One, Nintendo Switch and PC via digital and retail store releases. We don’t discuss review scores with publishers or developers prior to the review being published (click here for more information about our review policy). Valkyria Chronicles 4 has a rich lore and excellent gameplay system reminding us of the glorious days of the franchise. A worthy return for one of the best tactical-RPG from SEGA. Spawn of the gaming revolution, Luciano Rahal has spent the last 12 years working as an advertiser for top multinationals such as Coca-Cola, PepsiCo, Apple and many more. By night he returns to the dark side as a full time gamer. Now he finally married his passion and expertise by managing a Middle East eSports club called Nasr eSports.